"John Perkins was for 10 years a player in a high-stakes game of global empire. CONFESSIONS OF AN ECONOMIC HIT MAN is his very personal account of the events that forced him to choose between conscience and a glamorous life of power, luxury and beautiful women. It is also an adventure thriller worthy of Graham Green or John Le Carr that connects the dots between corporate globalization, American Empire, and the dynasty of the House of Bush. 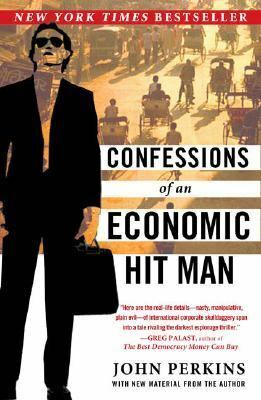 "Perkins, John is the author of 'Confessions of an Economic Hit Man ', published 2005 under ISBN 9780452287082 and ISBN 0452287081.